The sitting position of the sauna chairs is quite relaxing. The sauna chairs allow the user to change the room’s layout easily to be able to accommodate an increase or decrease in the number of persons inside. 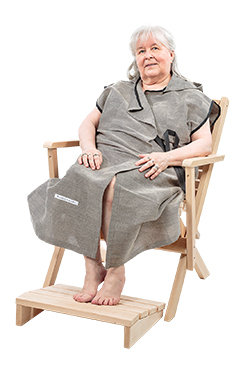 The sauna chairs are suitable for all types of saunas, as well as for resting, lounge and outdoor areas, which include: spas, hotels, fitness areas and healthcare establishments. The Saunasella sauna chairs have been used in the design of various facilities in different parts of Europe. 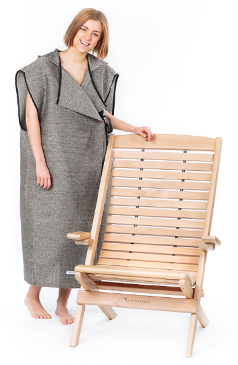 The sauna chairs should be placed on a bench level that has no traditional seating benches. Bench levels can be created to various heights. In infrared saunas the chairs can also be placed on the floor.